The ukulele is still selling, and sales are going strong despite assumptions that the ukulele craze is just that - a craze. If so, it’s a craze that’s been going on for more than a decade. 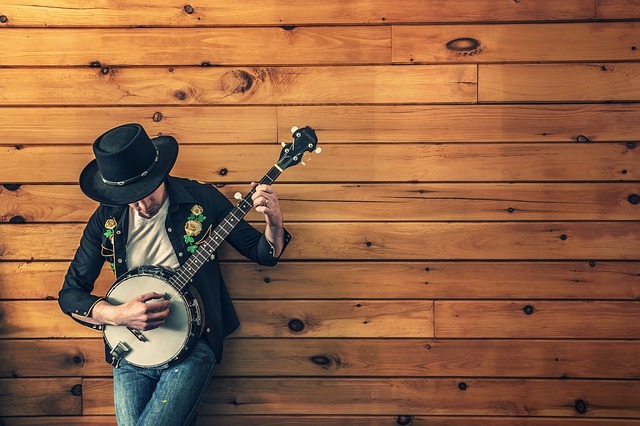 A lot of people in the music industry have attributed the resurgence of the ukulele to its use by popular artists the likes of Jason Mraz and Taylor Swift as well as its affordable price and compact size. It is indeed easy to acquire and carry around. During the Great Recession in the United States in 2007-2009, the ukulele was one instrument that people didn’t feel guilty about buying. And even well after the economy recovered, you could still find budget ukulele models like these flying off the shelves - er, racks. What’s with the continued sales boom over at the ukulele market, and will it ease up anytime soon? It’s worth checking out. For many years, the ukulele was largely snubbed in the realm of pop and classical music. But with its use by popular artists, it suddenly found itself in the spotlight. And thanks to YouTube and other social media platforms, playing ukulele started to become a trend. One of the key figures to whom the resurgence is attributed is Jake Shimabukuro, whose version of the Beatles’ “While My Guitar Gently Weeps” went viral on YouTube (as of October 2018 the video has more than 16 million views). The video, along with its use by music celebrities, triggered a wave of demand for the little instrument. Suddenly everyone wanted to have a ukulele, and not a day passed that you wouldn’t see someone toting their ukulele around. Buskers traded in their guitars for the more portable uke, students played it during breaks, and even your boss could be seen strumming away between meetings. The ukulele’s appeal continued to grow among the masses, creating a welcoming environment for anyone who’s always wanted to play an instrument. Ukulele players began to converge and celebrate the instrument through meetups, music festivals and concerts, schools started offering ukulele programs, music stores sold ukuleles bundled with one-on-one lessons, photos and videos featuring Hollywood actors playing the ukulele became viral, uku-centric YouTube channels and websites created content for ukulele beginners and advanced players alike. It’s ukuleles for sale and lessons here, the latest uke tunes and artists there - it’s hard not to notice how much the ukulele has become a mainstay of daily life, not only among those who play the instrument but also among those who are simply happy to hear it. It looks like there’s no stopping the ukulele from taking an even firmer hold on the market. According to the National Association of Music Merchants (NAMM), retail earnings for ukulele sales at music instrument stores were at $33 million in 2009. The following year it was at $42 million. And between 2010 and 2012, sales jumped from 581,000 to more than a million. In 2013, the NAMM reported a 54 percent sales jump from the previous year. Take note that these figures don’t include sales at general goods stores, yoga studios and other places where ukuleles are sold. In 2017, consumers in the United States bought approximately 1.75 million ukuleles, according to statistical estimates. In the UK, the Music Industries Association said in 2010 that the combined high street and online sales of the ukulele doubled to about 250,000 annually over the past five years. Those figures give us an idea of the soaring ukulele sales in the United States and the UK. While we do not have data on total global sales of the ukulele, we can assume that the number may be more than what we have here. Based on these, we can easily see why ukulele sales are still going strong. Here’s what we think: In a few years a new generation of ukulele players will come to the fore, kicking up the numbers again. And as today’s beginners become tomorrow’s pro players, manufacturers will improve on their old ukulele models and give these new features to meet demand. But will all this really happen? We’ll have to wait and see.